Dalet AmberFin is an orchestrated, scalable media processing platform with fully integrated ingest, mastering, QC, and review functionality, enabling facilities to make great pictures in a scalable, reliable, and interoperable way. It includes high-quality, fault-tolerant transcoding, enabling fast and effortless content delivery and repurposing. 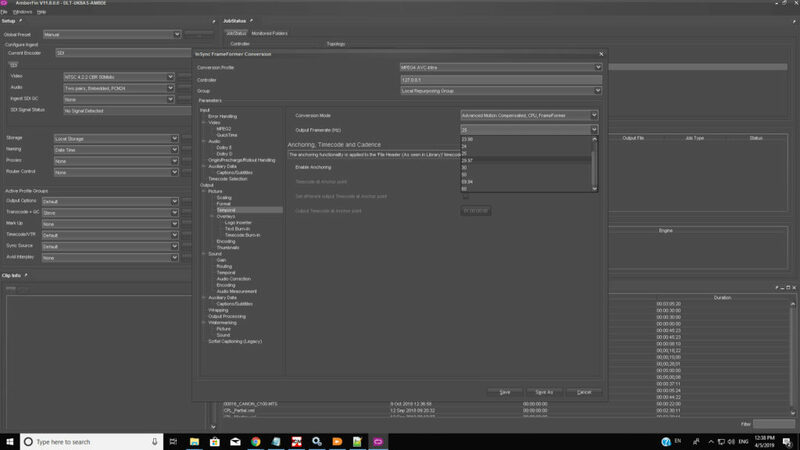 Integration of InSync’s FrameFormer motion compensated standards conversion into Dalet AmberFin further enhances the toolset available for the content workflow. “Standards conversion is an important part of Dalet customers’ media processing chain. The collaboration with InSync and the integration of FrameFormer into Dalet AmberFin enables our customers to perform high-quality conversions with the benefits of the Dalet AmberFin workflow solution,” said Steve Higgins, General Manager at Dalet AmberFin. InSync’s FrameFormer software standards converter is the only motion compensated frame rate converter designed for CPU deployment, allowing users to avoid the restrictions of GPUs. FrameFormer offers unique flexibility in support for Windows, Linux, and Mac operating systems and is available in a variety of plug-ins for popular edit software (such as Final Cut Pro X and Adobe Premiere Pro), as well as integration into third-party solutions (such as the Imagine Communications’ Zenium framework and Dalet AmberFin), or as stand-alone software for integration into bespoke workflows.